We don't just do mechanical work but also complete body repair and interior renovations. From a brake job to refinishing a counter top, NIRVC can do it all in our state of the art facility. 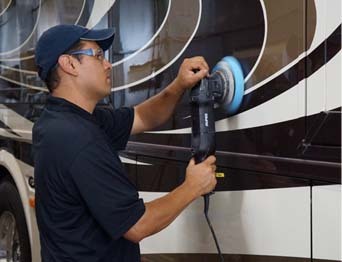 Full RV Service also means the convenience of having your work done on-site by technicians who know your coach and know you expect the work to be done right, on time, and at a reasonable cost. 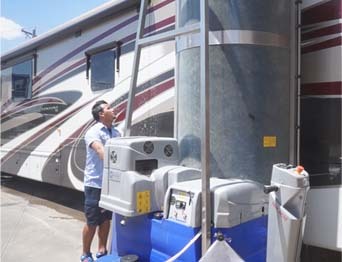 The Service and Repair center at National Indoor RV Centers is authorized to complete work for all extended warranty plans as well as work under most original warranties for your coach's individual components like refrigerators, washer/dryers etc. But more importantly, we stand behind our work whether you pay for the repair or a warranty company pays. Since our relationship covers more than just RV repair services, we have more at stake with you than any other motorhome shop. 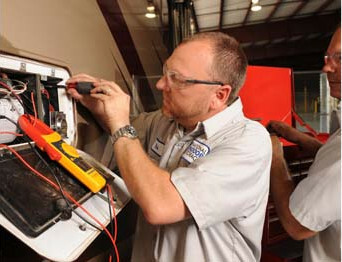 Our technicians average over a decade of experience in RV repair work. These are individuals who have built careers in the field, and whose reputations are on the line every day, in every job. At NIRVC we provide lasting, and continual training to ensure our technicians are up to speed on the latest equipment, factory recalls, and diagnostic testing for RV’s. We also provide our technicians the best equipment and expect the best work in return. You know the feeling. You're on the road and it's late. All the repair shops in the area are closed. Something in your coach is not working and you have no one to call. Maybe the solution is simple, maybe not. You would sleep better if you could talk through the issue with a trained technician. You can! As an NIRVC customer, just call our managers who are on call day and night. Often, they can diagnose the problem right over the phone or make a recommendation. 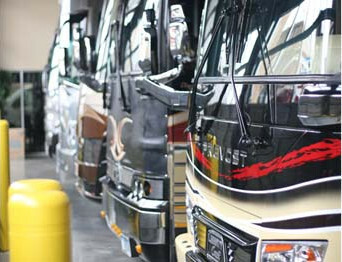 Our commitment to your coach service doesn't end when you leave town!